I recently went to Oslo in Norway to take some classes. 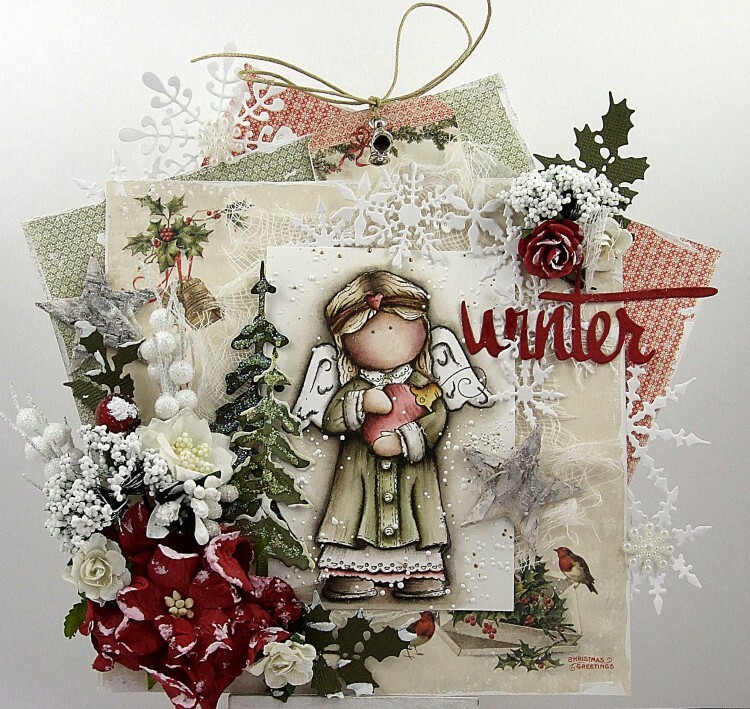 This card is one of the classes that I did using the Christmas in Norway collection, how very appropriate. I hope you like it! Tracy, your card is just so stunning! I truly love it! I love the die cuts, and ohhhhh, just love the Christmas in Norway papers! The colors are so perfect! You did such a lovely job on this card.